Why Choose Howards Motor Group? We will always offer expert advice to ensure that our customers spend their money wisely. We make sure you choose the correct vehicle for their needs. We’ll work tirelessly to provide a quality service. This is always tailored to the needs of our customer and the vehicle they drive. We will commit to providing excellent value for money. We achieve this by combining fair prices with high-quality service. We’ll always work to deliver the products and services our customers need, and when they need them. 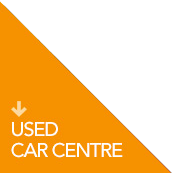 Where Is Howards Used Car Centre Located? Howards Motor Group offer authorised dealerships for many quality car brands. We offer a wide selection of approved used cars for sale across Weston-super-Mare, Taunton, Yeovil and Dorchester. Howard's dealer network offers 17 used car dealerships and 1 used motorhome dealership. This provides you, the customer, with a choice of dealership locations to visit. This makes it easy to test drive any vehicle you see online at your local Howards Motor Group. Howards Motor Group were established in 1972. They've built up a loyal relationship with an array of quality car brands available in the UK. Howards are a family-focused business offering trustworthy brands that produce vehicles to meet your needs. We stock authorised brands such as Nissan, Toyota, Peugeot, Honda, Citroen, Hyundai, Kia and DS Automobiles. Howards also offer the luxury sports brand, Lotus. You can find our full range of approved Used Lotus cars online. No matter what you are looking for, be it a specific vehicle type, such as a hatchback, people carrier, SUV or sports coupe. We will have a used vehicle to meet your search criteria. Or you may want to filter your used car search criteria even more. Search by fuel type petrol, diesel or electric cars, manual or automatic? No problem, you can do this on our used car page. Provenance Check - We check all the vehicle’s priors, from location to use and legal documentation. Such as outstanding finance, potential vehicle theft, insurance claims and accurate mileage records. Consumer Credit and Insurance Products - Howards are authorised and regulated by the Finance Conduct Authority (FCA). We can provide Consumer Credit and General Insurance products. Service Plans - A range of plans offer simple budget solutions.